It's mutiny on board the Black Pig! But when Captain Pugwash and his cabin boy Tom are cast ashore, things don't quite work out as the mutinous crew have planned, for the dastardly Cut-throat Jake and his bloodthirsty band make an unexpected entrance! 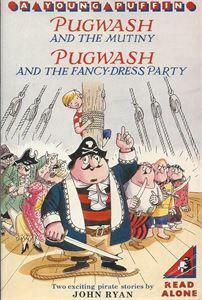 And that same evil villain is out to spoil Pugwash's devious plan for a fancy dress ball. A ball which would have filled the treasure-chest with gleaming gold, silver and jewels!